Find a Nightlife trip that explores Mediterranean. There are 6 tours to choose from, that range in length from 4 days up to 8 days. The most popular month for these tours is June, which has the most tour departures. "I had a great time at the camp! 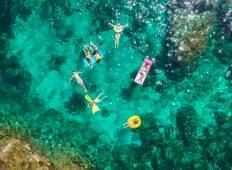 I was a bit hesitant to camp at first, but it's the..."
"The two main advertised activities (Pacha Nightclub and the boat party) were cancelled...."
"Amazingly different way to experience Ibiza. 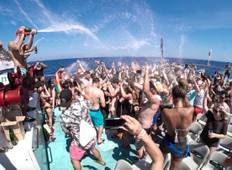 I had been to Ibiza many times before,..."
"Thank you Stoke Travel! I stayed at the Ibiza Beach Camp for a week and a half. Unfortunately,..."
"What can I say, i expected it to be good but it became so much more ! The camp in..."
"I honestly don't know how anyone could not have a great time at any of Stoke's trips!!..." "I went with Stoke Travel on the Ibiza Springbreak trip which was in one word unforgettable...."
"My trip to Ibiza was the first use of my Stoke Passport and the experience far exceeded..."